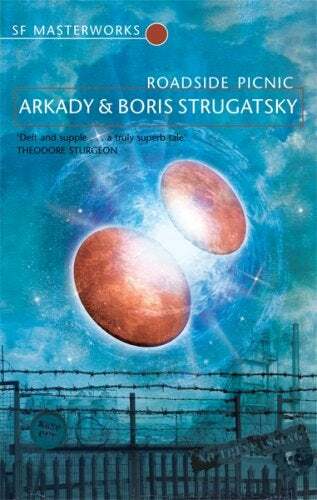 Soviet-era novel Roadside Picnic by Arkady and Boris Strugatsky is the latest novel to be adapted for television, according to Deadline. The adaptation will be written by Jack Paglan (Transcendence), and will be directed by Alan Taylor (Terminator Genisys, Game of Thrones). WGN America will be developing the show along with Sony Pictures Television. Roadside Picnic is about an Earth in the aftermath of an alien encounter, leaving behind several infected ‘zones’, where alien technology has been left behind, instilling the regions with strange properties. In 1979, Andrei Tarkovsky adapted the novel in the film Stalker, and the novel recently received a new translation from Olena Bormashenko in 2012. This is pretty exciting news, and it will be very interesting to see where this project ends up: Roadside Picnic is one of the genre’s best novels, and it has a lot of potential as a weekly or limited television show.